How often do you come to the end of a great novel, an enlightening article or an inspiring poem and immediately set out to learn more about the author? You want to know who was responsible for bringing you to tears, laughing out loud or giving you that light bulb moment of understanding. You want to get your hands on something else they've written so you can do it all again. As we embark on our quest for information, the author bio is our first port of call, a snapshot of the author's contact details, credentials, previous publications and personal life. It should give us everything we need to know at a glance and leave us wanting more, persuading us to click over to a more detailed bio on the author's website or their social media profile. But what if you're the author? How can you condense every part of your exciting writer's life into such a small space? 'Coffee addict watching YouTube videos with my six cats' just doesn't seem to cut it. Whether you're new to the writing game and wondering what to include, or you're an established author hoping for a refresher, we've put together a guide that can fill you in on how to write a short, medium and extended bio along with a selection of helpful tips to make it stand out. Read on! Writing a short bio is like speed dating. You're describing as much as you can about yourself in the shortest amount of time... Or the least amount of words. It's your chance to introduce yourself to a complete stranger and hook them in. The best short bios are unique, simple and snappy, able to squeeze into tight spaces with a limited word count of anywhere between 1 and 40 words. You'll find them at the bottom of blog posts, immediately following a magazine article or underneath your profile picture on social media. Rather than listing links in their full form, short bios presented online are often accompanied by social media logos, such as the Facebook 'F' or the Instagram camera. By clicking on the logos, readers know they'll be taken to the writer's profile on that particular platform. Since you have very little space to work with, the key to writing a short bio is choosing only the most important information. Unless you've written a kids' book about household pets, you'll have to cut the list of the names of your six cats. Write in the third person and keep it simple. Start by stating who you are and what you do. If it fits, tell readers where you are. Add one or two relevant facts about yourself, such as writing groups you belong to, degrees you hold or awards you've won. If the bio is not being published on your website or social media profile, finish with your best contact, such as a Twitter handle or email address. On her Twitter profile, Joanna Penn starts with the most important piece of information: she is a New York Times and USA Today bestselling author. With her remaining word limit, she uses short phrases to list other elements of her professional and personal life. This popular strategy is great if you want to include any facts that might not be relevant to your work but define your personality. For more inspiration, have a look at these 40 About the Author Examples. Your speed date was a success and you're meeting for coffee during your lunch break. You've only got 45 minutes to chat and you're keen to retain an element of mystery about yourself. In other words, you've got more space than you had writing the short bio, but you don't want to give everything away just yet. The medium bio is similar to a cover letter in a job application, usually between 40 and 250 words long. You'll use your medium bio for marketing material, for your section on a Meet the Team page, and when you write a query letter, after you've described your manuscript. Begin with your name and the one thing that makes you stand out as a writer. If having a short story featured in your local newspaper is your greatest writing achievement to date, open with it! For more accomplished writers, you could open with a previous top-selling publication or an award you've won. Move on with one or two sentences each about your writing credentials or achievements, relevant education, life experiences, work history or personal life. Keep it simple. In this case, less is more and too much is arrogant. Instead of repeatedly using your name, use pronouns to break up the flow. If you include your birthplace and living situation, place it at the end. While it is great that you exist and readers may want to know where you come from, this information isn't critical and will take up valuable words in a query letter. Don't worry – you can tell readers all about yourself in your long bio! On her website, Joanna Penn includes a longer version of her short bio. She opens with a strong statement about what she does and the level at which she has published, then moves on to describe her professional and creative achievements in greater detail. If you'd like to see how a medium bio fits into a query letter, Chuck Sambuchino at Writer's Digest has developed a series of articles under the banner 'Successful Queries'. The series presents over 60 examples of successful query letters, many of which feature a medium bio. For other examples of medium bios, both good and bad, look here. Once again, your first date was a success but this time you're meeting for dinner, a three-course meal during which you have all the time in the world to talk about yourself. In other words, the reader has skimmed over your short bio and taken a look at your social media profile. They like what they see and they want to learn even more, so they click over to the 'About' section on your website. This is where they will find your extended bio. Extended bios include all the information that couldn't fit into your short or medium bio. It is a comprehensive summary of your life as a writer. By the time readers get to your long bio, you will have already captured their attention. So while this is the time to go into greater depth, don't undo all your good work by simply listing your published works and rambling. Use your writing flair to make the bio interesting. Employ humour, tell a story and keep the bio moving. There is no right or wrong way to structure your extended bio, but there are ways make it stronger. Think of it as a sandwich. The slice of bread at the top is the most relevant information, the stuff that has drawn your readers to the site in the first place. If the bio is published on your website, the bottom slice is a paragraph about your personal life, written in as much or as little detail as you like. If your bio is being published elsewhere, the slice at the bottom is your contact details. Then you just need some ingredients for the middle of the sandwich. If you're just starting out, you might be wondering what to include. Well, as long as it relates to your writing, use it! Stories about your childhood or information about where you grew up is extremely interesting to many readers. Provide information about your work or performing history. Talk about where you live now, your hobbies, where you've travelled and what your family is like. 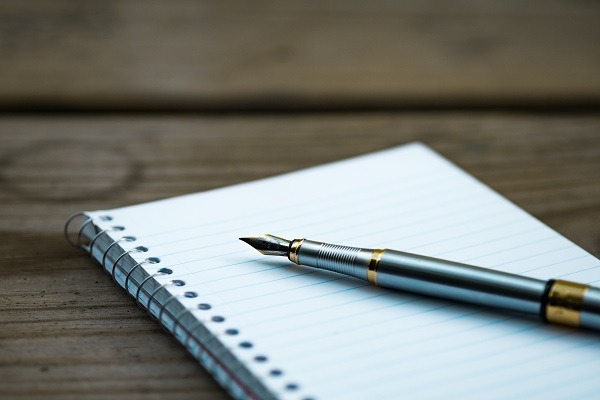 If you're an established writer with a number of achievements to your name, you can include industry awards, relevant education, such as writing or editing courses, and a full list of your published works. For book publications, list the title in italics and parenthesise the name of the publisher and the year of publication. If you're after a more detailed breakdown of what to include, click here. In the extended bio featured on her website, Jane Friedman begins with a three-paragraph outline of her most important information, including a rundown of her experience in the industry, information about her award-winning blog, and experience in writing essays and public speaking. She moves on to discuss her interests and how they relate to her professional life, her work history and finally her personal life. Rachel Aaron (also know asRachel Bach) approaches her extended bio in an entirely different way. It is lively, humorous and personal. The bio takes the form of a letter to readers and employs first person viewpoint to give it a conversational feel. She finishes with a list of links to interviews, podcasts and guest posts. For more ideas, check out 50 Great Author Bios for Inspiration. Now that you know how to write a short, medium and extended bio, here are some hot tips to help you make them even better and manage their evolving nature. Your author bio must match its accompanying publication. Think about the genre of your piece. If you've written a dark, gothic poem, don't copy and paste the bio you wrote for the short story about fairies living in your front garden. Try to create an atmosphere that matches your brand. Spend more of your word limit on credentials if you're publishing non-fiction. Readers want assurance that facts are true and accurate. Faced with a choice of many different books on non-fiction subjects, readers are more likely to pick the book authored by someone who can prove they know what they're talking about. Janet Mackenzie authored The Editor's Companion, a reference guide that covers traditional and digital editing skills and editorial tasks. Her bio verifies her authority on the subject. Janet Mackenzie is a freelance editor with more than 40 years' experience in the profession and has conducted many training workshops on editing. She is an honorary life member of the Society of Editors (Victoria), a Distinguished Editor of the Institute of Professional Editors and recipient of the George Robertson Award for services to publishing." —Janet Mackenzie, The Editor's Companion, 2nd ed. Fiction writers have a little more freedom in what they include. However, credentials are just as important when you write fiction in particular genres. A crime fiction writer can strengthen their bio if they mention their career as a detective in the police force. A soldier-turned-novelist writing about war should include the time they spent in the armed forces. David Dyer is the author of The Midnight Watch, a historical fiction novel about the events immediately following the Titanic's sinking. He lists his credentials as a lawyer, a seaman and an English teacher, verifying his authority on the historical elements in his work. If you're including a photograph with your bio, think about investing in a professional photoshoot. Readers want to connect with you, so don't switch them off with a poor photograph. A professional photographer will work with you to develop a shot that makes the most of your features and suits the accompanying publication. Furthermore, a high-quality photograph will separate you from all those authors with selfies. It shows readers and editors that you are serious about your writing and willing to spend money to improve your profile. Understandably, many self-published or emerging writers work on a budget. If you can't afford a professional shoot, at least consider what makes a good author photograph. Rather than sticking with your iPhone, try to find the highest quality camera that you can. Consider how your face and upper body contrasts with your background. You're speaking to your readers, not trying to win a modelling contract, so keep your clothes on. Just like the bio itself, your photograph should match your brand. If you're selling 'how-to' non-fiction books, you want to look warm, open and interested. If you write about the business world, put on your best suit. Instead of a smile, try out a tough expression if you write thrillers. Your author bio will continue to change as you work on new projects and build your CV. The bio you write today will look completely different in five years' time. Once you have written a short, medium and long bio, save each of them on your computer, USB or cloud storage system. That way, when you start a new project, all you have to do is open the appropriate file, make any necessary changes and upload it, saving you a heap of time and effort. Don't forget to update your bios when your circumstances change. The last thing you want is an excited reader clicking the link to your blog, only to find that you haven't touched it for three years. Make sure links to your social media platforms and blogs are current and working. Whatever you decide to include in your author bio, be honest and upfront about it. Be proud of all of your achievements, even if they seem small. Everybody has to start somewhere, so don't draw any unnecessary attention to the fact that you are unpublished. You don't even really need to mention it, but if you want to, a simple explanation will do. For example, 'I have no previous publications'. Remember, many editors will be on the lookout for the latest crop of brilliant emerging writers. And if you tell your readers how long you've been writing without being published, they'll quickly lose confidence in the quality of your work. You must resist the temptation to throw in false claims. It might bolster your bio, but when people start questioning your authenticity, you're going to have a hard time explaining yourself. This can damage your reputation and will result in fewer opportunities down the track. 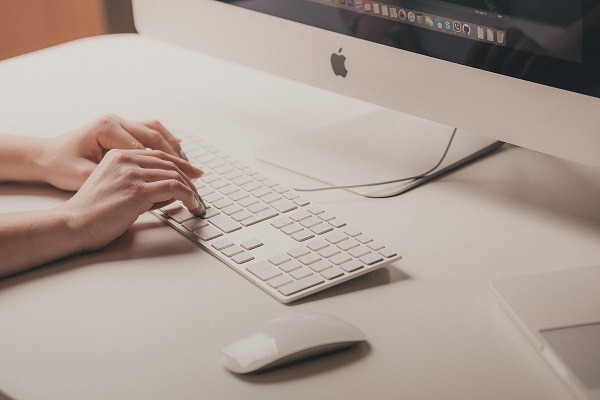 Whether you're adding the finishing touches to your profile page or about to send off your query letter to an agent, don't underestimate the power of an effective author bio. In a blog post, one writer goes so far as to say that readers bought copies of his first book after reading only his bio. So, we've provided the hints, tips and instructions. Now it's your turn. Take your time. Your author bio could make all the difference. Teacher by day and writer by night, Daniel Murphy has self-published three books and appeared in Writer's Edit's anthology, Kindling 2. Currently living in Port Augusta, his spare time is dominated by sports rehab and complicated by part-time study. He loves cooking, reading and road trips. Excellent post Daniel! I really liked the way explained each point with an example. great efforts man. Author can write a big book but broke into sweat when it comes to write a bio about themselves. and in that case your article will help them to write a killer one.